On time! Jonathan was very professional and handled the job very well. He knew his trade and I could tell he was trained very well. Pricing was a tad high but the carpets look great! Thank you, Danny. The rep arrived on time, did a great job, was polite and very professional. Carpets look so much better! Tony did an excellent job. He took the time to explain all of my options, was very through and my carpets look great. I also enjoyed the pleasant smell . I will be calling in six months for another cleaning and I would like for Tony to come back. I have been hesitant to have my carpets cleaned again because the last time with a different company the carpet didn’t look so good after. It buckled and I didn’t feel the job was done right. 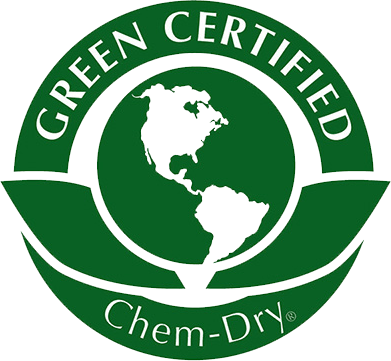 I am glad to say Chem-Dry and Tony did a great job and I am very happy with this company. I think I am going to stop looking for a carpet cleaning company. I have one now. I loved the clean smell of oranges and the fact it did not smell of chemicals when Tony was finished. Tony was very professional and did a great job. 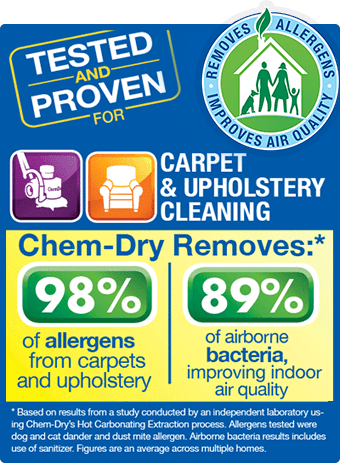 I have been hesitant to have my carpets cleaned again because the last time the carpet didn’t look so good after. It buckled and I didn’t feel the job was done right. I am glad to say Chem-Dry and Tony did a great job and I am very happy with this company. I think I am going to stop looking for a carpet cleaning company. I have one now. On time and went the extra mile to make sure the job was perfect. Carpes are all clean and stain free. Thank you for doing such a wonderful job. My wife and kids are more than pleased and very happy with the results. Service was to clear tile in the kitchen and entryway. Rep arrived on time and looked over the work needed. Got all the prep work done and was in and out of the house in less than 1 hr. Everything was cleaned perfect. Will use them again. Our technician, Tony, was prompt and friendly. He completed cleaning the carpet and upholstery in 90 minutes. I thought it would take him a couple of hours to finish cleaning. Great job! Carpets smell and look much better! They did a fanstic job on my old dirty smelly carpets. They are still old but not dirty or smelly!